The 11th season of the IPL is upon us and Cricinfo have come out with some Smart Stats that they are going to use to measure and analyze performances of batsmen and bowlers during this elite T20 league competition. This all sounds quite interesting as it will shed some new light on how the players perform in T20 in different conditions. But as this all unfolds in front of us, here's a look at the some basic stats from the past decade of IPL. 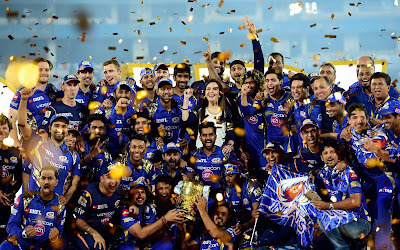 The defending champions are Mumbai Indians who have also won the IPL title more times than any other team - thrice. Following them, with two title wins each, are Kolkata Knight Riders and Chennai Super Kings, who return to the IPL after serving the two year ban. The other three seasons have witnessed Rajasthan Royals, Deccan Chargers, and Sunrisers Hyderabad win the IPL. Who will win IPL 2018? Various quarters suggest that this will be the most competitive IPL till date and no one team is being marked as favorite. The IPL today is the largest T20 league in the world and its title probably the most coveted T20 title that 8 teams will be vying for starting today! Five batsmen have scored more than 4,000 runs in IPL with Suresh Raina at the top of the list with 4,540 runs at an average of 34.1 and a strike rate of 139.1. The others with more than 4,000 runs are Virat Kohli, Rohit Sharma, Gautam Gambhir, and David Warner. Among all batsmen who have scored over 1,000 runs, only Chris Gayle and David Warner average above 40, with Chris Gayle's 41.2 being the highest average. Chris Gayle also holds the record for most number of centuries (5), most sixes (265), and highest individual score of 175* in the IPL. Gayle also holds the record for the fastest ever 100 scored in the IPL when he smashed one of just 30 deliveries, which is also the fastest 100 scored in all T20 cricket. Gayle is a T20 phenomenon and for a decade he has been performing for the Royal Challengers Bangalore, however this season he will turn out for Kings XI Punjab. The highest strike rate in the IPL for all batsmen with more than 1,000 runs is Glenn Maxwell's (164.4) followed by Virender Sehwag's 155.4. The fastest 50 record is held by Yusuf Pathan and Sunil Narine, both of whom reached their 50 in just 15 deliveries. Gayle's fastest 50 is off 17 deliveries, which is the third fastest in IPL history. Lasith Malinga is the leading wicket taker in IPL with 154 wickets at an average of 19.01 and a strike rate of 16.6. Malinga is miles ahead of other bowlers with a clear lead of 20 wickets over Amit Mishra who is second on the list with 134 wickets. He is followed by Harbajhan Singh (127), Piyush Chawla (126), and Dwayne Bravo (122). 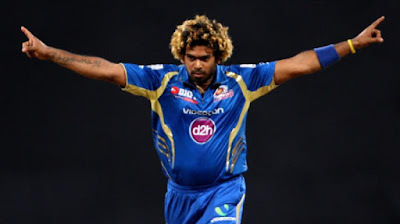 Malinga's average is the best average among all bowlers with at least 40 wickets in the IPL. While Sunil Narine holds the record for the best economy rate (6.32) among all bowlers who have bowled at least 100 overs in the IPL. The best bowling figures in the IPL belong to Sohail Tanvir whose 6-14 in the first season for the Rajasthan Royals remains the record even 10 years after. Adam Zampa is the only other bowler to pick up a 6 wicket haul in the IPL with his 6-19 against the Sunrisers Hyderabad. These batsmen and bowlers will be in action once again as season 11 of the IPL gets underway. It will be interesting to follow them and all the other talented cricketers that this league displays, especially with the new Smart Stats.